Everyone’s needs are different. I offer a bespoke blend of Life Coaching, Stress Management Coaching, Executive Coaching, NLP, Counselling and Mindfulness Training to help you to identify and achieve your goals. Because everyone is different I flex the way I work to ensure that you have the most effective coaching experience. I definitely do not have all the answers, but you do have all the answers! I can help you to find them. We are all different, all unique and “one size does not fit all”. Because of this I use a range of coaching and therapy approaches with my clients, what works for one person may not work for another. My aim is to find out what works for you! We are all different (I know, I said it already, but it is so true). Because of this your opinions, preferences or actions may differ from mine, and that is OK. I create a safe, confidential space for us to work and I do not judge you. I work as flexibly as possible and can meet you at my base near central York, I can also work with you over the phone or via Skype. I will (probably) set you homework, but it will be enjoyable. And I will really want you to do the work, as it is you with the answers and you who can help yourself – the homework helps you to do this. Most importantly, I will be your champion and your challenger, I will champion and support you in what you want to achieve, and I will ask you the challenging questions to get to the heart of the matter. When you meet me for a coaching session you will find that my coaching style is professional, fun, supportive, relaxed and direct – and you will find that I help you to get the results you want. Coaching is an extremely effective transformational process which helps you to maximise your potential and achieve your personal and professional goals – a coach will help guide you from where you are to where you want to be. Achieve and celebrate your success! 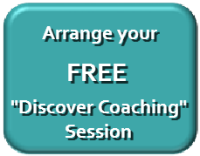 Coaching differs from Mentoring or Consultancy as I avoid giving you advice – instead I believe that you have the answers and as your Coach I will help you to access them. Coaching is a structured approach which incorporates a number of techniques and approaches, including those based on psychology, leadership theory, neuroscience and sociology. The coaching journey is thought-provoking, fulfilling and inspirational. It often involves a great deal of self-discovery, an opportunity to spend time on yourself, a supportive environment where you can challenge self-doubts and gain motivation, and an outcome of change, achievement and success. 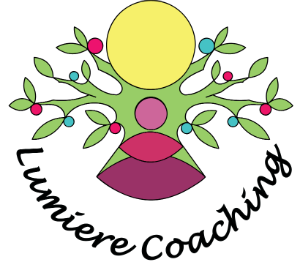 Lumiere Coaching offers both Life Coaching and Executive Coaching – contact me to find out more and to arrange a free initial consultation. NLP is primarily concerned with the relationship between behaviour and the subjective experiences underlying that behaviour (particularly our thoughts). The focus being on identifying and adopting patterns of thought which will lead to successful patterns of behaviour. Much of our thought processes which lead to our perceptions, emotions, behaviours and outcomes are held within our unconscious minds. These thought processes are usually habitual and second nature, and we tend to be unaware of them. A skilled NLP Practitioner can help a client to access the unconscious mind and identify their own patterns of behaviour and thought. These can then be challenged and, through utilising a range of change techniques, the NLP Practitioner can very effectively guide a client towards significant changes in thought patterns and behaviour – resulting in more resourceful thinking and more positive results. As a Master NLP Practitioner I can help you to address self-limiting beliefs, negative thoughts and memories, fears, phobias and anxiety; and to develop confidence, clarity, effective decision making and a stronger focus on goal setting and achievement. Contact me to find out more and to arrange a free initial consultation. Please click here to go to page dedicated to Mindfulness. If you would like to start an effective and enjoyable coaching journey please contact me to arrange a free initial consultation. Error: Error validating access token: Session has expired on Sunday, 07-Apr-19 11:10:04 PDT. The current time is Wednesday, 24-Apr-19 16:37:33 PDT.